Join Us At Our 3 Day Special Event! Appointments Are Limited! Call 480-359-2235 Today! Call 480-359-2235 to schedule your first appointment. You can look to Miracle-Ear® for hearing aids in Mesa, AZ. We are known as America's most recognized brand of hearing aids and have grown to include over 1300 locations nationwide. We can guide you in choosing hearing aids that work for your situation. Our specialists at each of our independently owned and operated locations have extensive industry experience. We incorporate the most current advancements into our products, such as those found in our GENIUS™ Technology. You can navigate difficult listening environments with ease using GENIUS™ Technology. These aids have several features that work together and adapt, resulting in a clear listening experience. The Directional Focus feature tunes listeners in front and center while filtering surrounding sounds. Wireless Windscreen removes wind sounds that can interfere with the transmission of natural sounds, and VoiceTarget 360 lets ears zero in on conversations arising from any direction. You’ll hear sound processed in a smooth, natural way. You’ll benefit from a personalized listening experience with our technology. You’ll hear full, natural sounds with ease and benefit from the innovations in clarity and comfort. Give us a call or check out our hearing center if you’re in the Mesa, Gilbert, Chandler, or Tempe area. Miracle-Ear® products can improve your ability to hear in any situation. Customers who purchase from us can receive free hearing aid repairs and checkups on an ongoing basis. We’ll thoroughly clean hearing aids, replace batteries, and test all components to ensure adequate functioning. We hope you’ll allow us to service you and improve your hearing for years to come. Christina has 6 years of experience as a Hearing Aid Specialist and is a member of the International Hearing Aid Society. 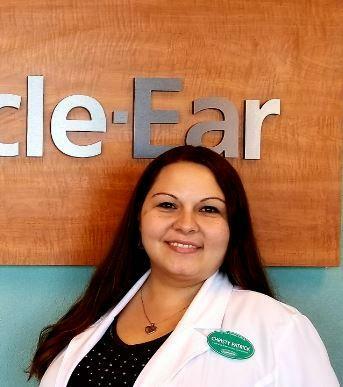 Christina's favorite part of working at Miracle-Ear is that she loves working for a company that provides her the ability to improve the quality of so many lives. She truly values providing excellent hearing healthcare to those who put their trust in us. With over 25 years experience as a corporate trainer for Fortune 500 Corporations, I've learned the value of continuing education to stay on top of industry changes in order to communicate that information correctly to clients. This allows them to make the very best decision on their investment choices. 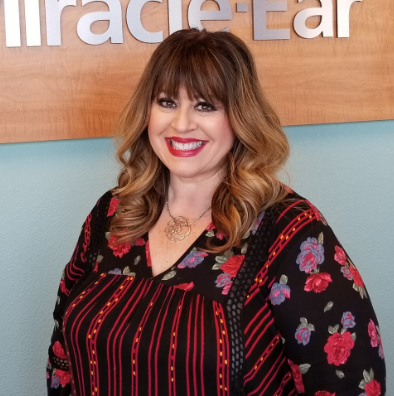 With over 15 years winning customer service awards and recognitions from various organizations with our family businesses, I know the importance of letting each client know how much they mean to Miracle Ear. Without them, we are nothing. Greeting each client with a smile, and hearing the huge difference our company's products have made in their life!. We think you are great! First rate care…well qualified, friendly, helpful, and caring! Thank you! I have been a Miracle-Ear client for many years and enjoy coming here because of the personality and experience of Tammy. I trust her completely with my hearing needs. After just reccently moving to Arizona, I had an emergency fix on my hearing aids and it was taken care of. They are my first official friends in Arizona! "My experience was very good. Got in and out promptly with excellent experienced hearing specialists. They were so helpful."